Anise Star, Anise Seed and Aniseed Mytle essential oils are very similar in chemistry and their applications. 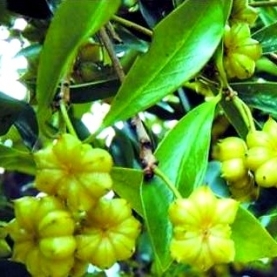 They are typically used for her anti-spasmodic and carminative therapeutic properties to relieve dyspepsia, colic and gas and is anti-ulcerogenic.It has also been proven to be sedative and inhibits acetylcholinesterase. Because of the fantastic anti spasmodic properties, we find her to be awesome when dealing with deep respiratory issues. She can relieve the spastic coughs of bronchitis and chest colds. A good friend of ours uses this in her anti asthma blend. Star Anise is an evergreen tree usually growing between 12-16ft, indigenous to Southeast Asia. The plant part used is the dried, ripe fruit that consists of around 8 seed bearing woody follicles attached to a central axis in the shape of a star, hence the name, Star Anise. The Ancient Egyptians thought of Star Anise to "refresh the heart". The Greeks and Romans used it as a "pick me up". Ancient Chinese used Star Anise as a digestive aid and as a breath freshener. Star Anise has been used in a tea as a traditional remedy for rheumatism and in TCM today, as a warm and moving herb used to assist in relieving cold-stagnation. According to Tisserand & Young, Anise Star essential oil can be potentially carcinogenic, based on estragole & safrole content, may inhibit blood clotting & reproductive hormone modulation.